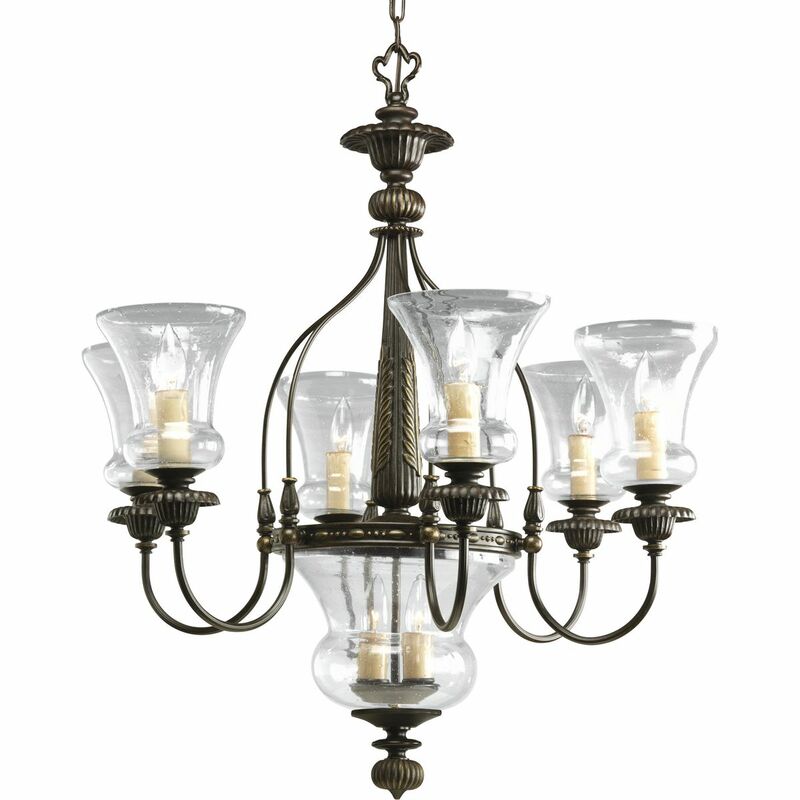 Six-light chandelier with three-light downlight in bowl. Clear seeded glass and champagne drip glass candles. 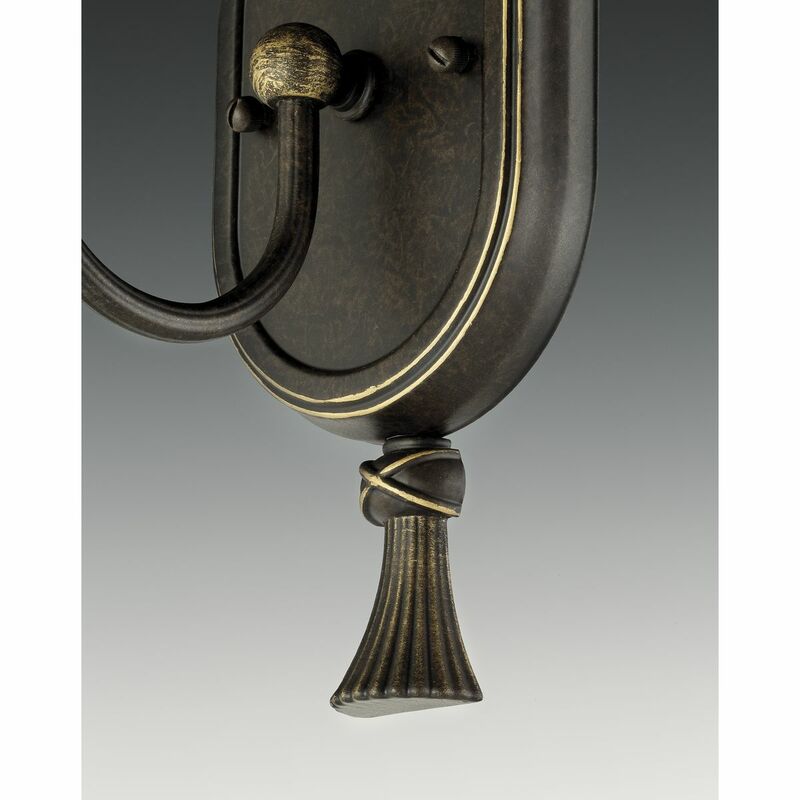 Hand-painted Forged Bronze finish blends brown and black tones, and faint golden highlights. 6-Lt. chandelier Clear seeded glass. Forged Bronze finish with blended black and brown tones and faint golden highlights. Romantic champagne drip glass candles. Etched detailed columns and banding with stylized leaves.